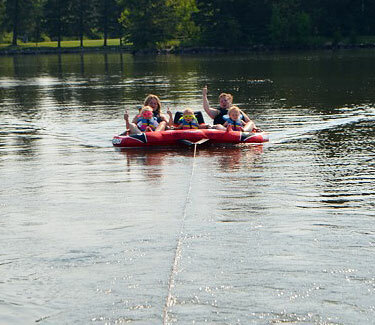 With the miles and miles of waterways, there is no shortage of space for these water activities. Or do it all right from the Town Beach & Pier. The beach has beautiful sand and play structures while families can watch from the grassed hillside. Water-ski or fish right off the large pier that is home to Manitoba's best Fireworks display on the Canada Day weekend. During July & August swimming lessons are also available. Lesson Registration is done by the "Winnipeg River Recreation District".